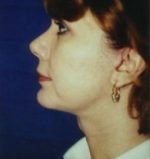 Chin implant with face/neck lift. 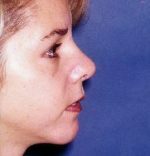 Silicone chin implant and rhinoplasty. 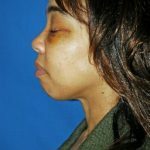 Some chin implants can be performed in our Cincinnati Plastic Surgery facility. 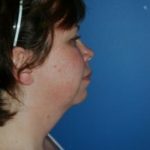 Mini Neck lift with silicone chin implant. 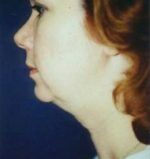 This male requested a stronger chin and better neck contour. 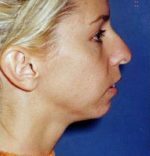 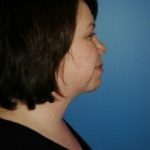 Examination revealed a small, retruded chin as well as a neck with excess fat and a poor cervicomental angle. 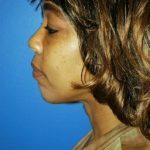 The patient underwent a mini necklift with placement of a large, anatomic chin implant. 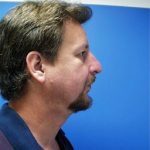 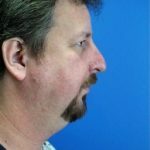 His profile shows improved neck contour and increased chin projection.